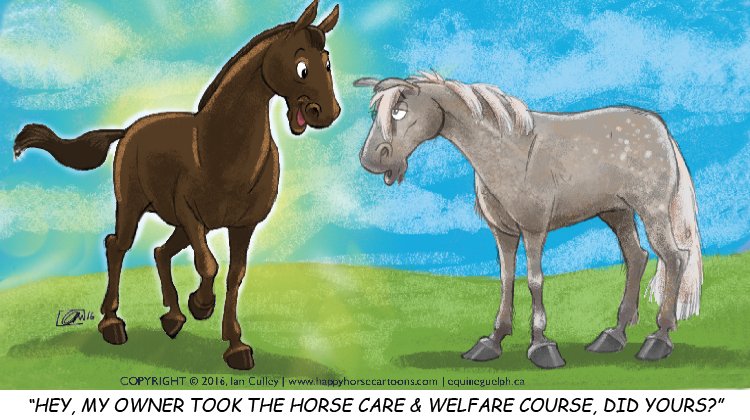 Taking on the care or ownership responsibilities of a horse (or donkey) is a serious and challenging undertaking. It is important for the health and well-being of the animal to ensure that basic industry standards are followed by all of us in the horse industry. And we need to ensure that have the knowledge and skills to do so. The main objective of this course is to help all horse owners and caretakers develop the knowledge on horse care as well as specific information on Requirements and Recommended Practices presented in the Canadian “Equine Code”. Upon completion of this short course, you will have developed a full understanding of the obligations of horse owners and caregivers as outlined in the Code along with minimal requirements and recommended practices for horse care and handling that are in a part of the “Equine Code”. While this document primarily focuses on horses, donkeys and mules are also covered in this document as there are some important differences. The assessment will be through online quizzes (one for each week). Quizzes are multiple choice or True/False format and based on the Code. The Horse Care & Welfare course is structured over 3 weeks. Each day (Monday through Friday), you will have different learning activities provided to you. Each section of the Code will be covered, supported by the various learning activities and discussions, requiring about 1 to 2 hours per day (required times may vary between students). Unit 12 (Day Twelve – Tuesday) – Finishing up! Unit 13 (Day Thirteen – Wednesday) – What’s Next? Do you own a horse? Thinking about buying a horse? This course is for you! Taking on the care or ownership responsibilities of a horse (or donkey) is a serious and challenging undertaking. It is important for the health and well-being of the animal to ensure that basic industry standards are followed by all of us in the equine industry. And we need to ensure that we have the knowledge and skills to do so. 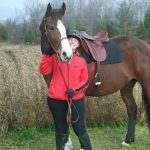 ‘Horse Care & Welfare’ is a short course offered online by Equine Guelph in a unique Canadian partnership with each of the provincial equestrian federations. Equestrian Canada is also a training partner and this course has been accepted for PD credits for the coaching program. It is based on the national document, entitled, The Code of Practice for the Care and Handling of Equines. This is a three-week online course that you can complete during the scheduled 3 weeks listed for the course offering. A facilitator/instructor will help guide you through the course materials. This course is directed at individuals that are new to the horse industry and all individuals that would like to know more about the Code of Practice for horses, as part of their on-going personal or professional development. 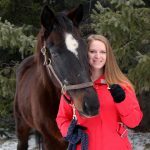 It can also be helpful to horse owners beyond Canada who are looking to learn more about horse care or about the national standards developed in Canada. The main objective of this course is to help all horse owners and caretakers develop the knowledge for horse care as well as the specific information on Requirements and Recommended Practices presented in the Canadian “Equine Code”. Upon completion of this course, you will have developed a full understanding of the obligations of horse owners and caregivers as outlined in the Code along with minimal requirements and recommended practices for horse care and handling that are in the “Equine Code”. While this document primarily focuses on horses, donkeys and mules are also covered in this document as there are some important differences. After joining our learning community, you will get to know your instructor and the other students taking this course. Over the next three weeks, you will be given specific learning activities that may include videos, slide presentations, interviews, reading assignments, and quizzes. Keeping up with the course will be an important priority for your optimal learning experience. You will interact via the discussion boards with your instructor and other students (click on the icon to open up the discussions to see the other posts). Your instructor is here to help facilitate your learning experience and help you throughout the course. You can post questions in the Questions to the Instructor for assistance. Assessment in the course is completed by quizzes. All quizzes, and all sections of the course, must be successfully completed to be eligible for your completion Certificate. For each Section of the course, you will be asked to review a section of the Code, complete the learning activities and then engage in discussion with your instructor and classmates on specific topics. Active participation is an important part of your learning pathway, so try to schedule time to access the course site and spend time on the learning activities for this 3-5 times per week. This will help you stay current and will also enhance your learning and your interest in the course (if you miss day, do not worry, you can catch up on the next day or two). We can learn a great deal from each other as well in a supportive learning community.